Zog is one of Julia Donaldson’s best creations… for anyone not familiar with the story, it really is a goody. 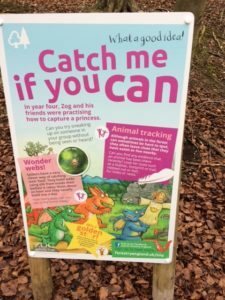 Zog the slightly hapless dragon is at dragon school learning all the things that dragons need to know – like breathing out fire (not snow! ), roaring and capturing princesses. 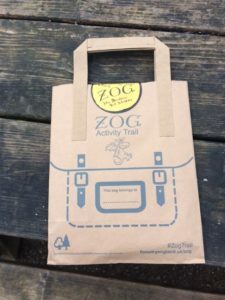 It’s great, and it’s currently all over the place – there was a brilliant adaptation of it on the BBC over Christmas (it’s still on the iPlayer) and now forests all over the UK have Zog Trails! 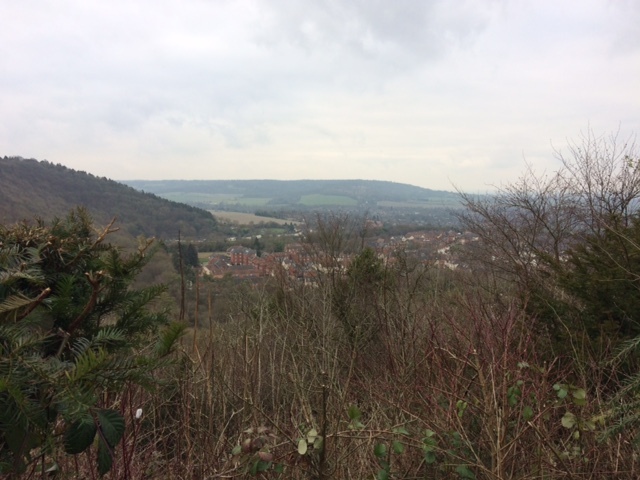 Our closest one is at Wendover Woods, over by Aylesbury and the Chilterns (about 45 minutes drive away). 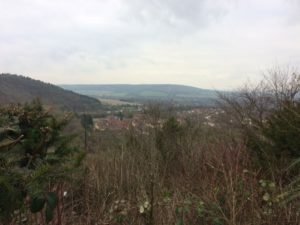 The woods are enormous – 800 acres – and absolutely stunning with some lovely views. The Zog trail pack is £3 and well worth it. 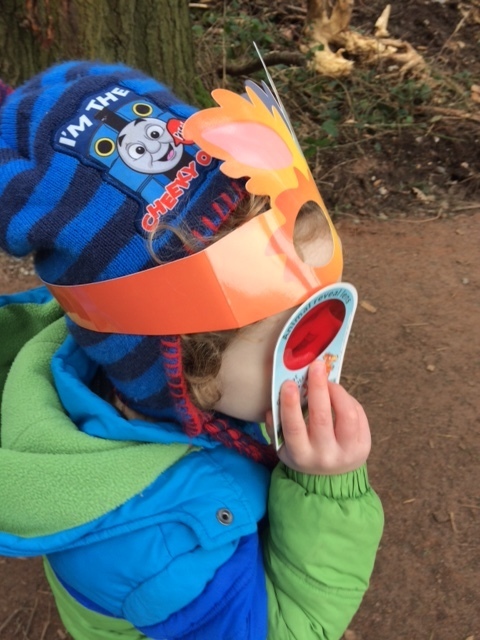 You buy it from Information and inside there’s a little activity book, a Zog mask, ‘golden star’ stickers and a red lens thing that you look through at various points on the trail. 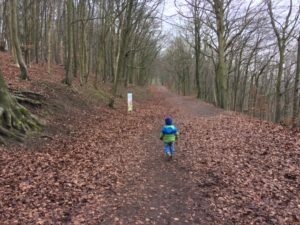 The trail is six main points dotted along a long walk around Wendover Woods (it took us about an hour and half to do, but that was walking quite slowly and stopping for snacks). 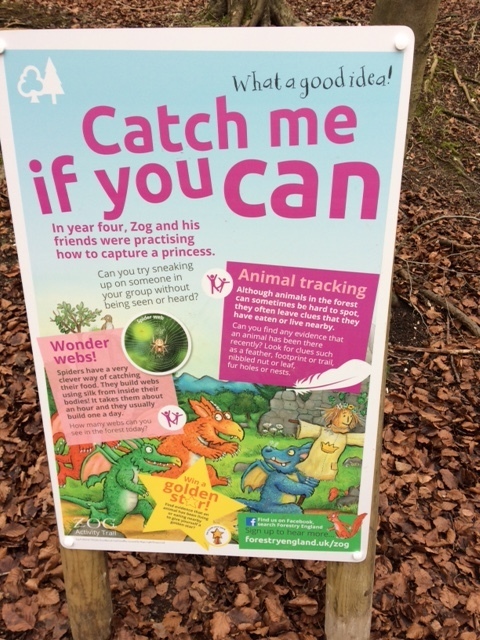 At each point the kids are set a little nature challenge, loosely related to Zog (eg spot some animals that fly, collect leaves and blow them from your hand), and then you give them one of the golden star stickers. 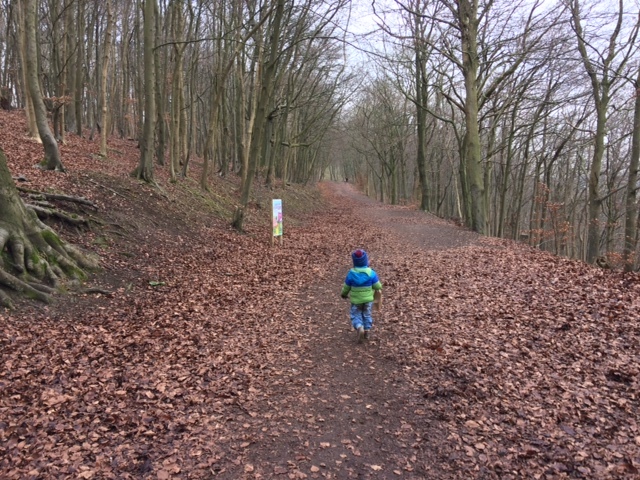 The trail is sweet and it definitely motivated my son to walk around the woods, in particular the stickers… But some of the challenges were a bit over his head (he’s 3) and there was no big ‘wow that’s Zog’ moment (there’s a quite small cardboard cut out of him at the end). 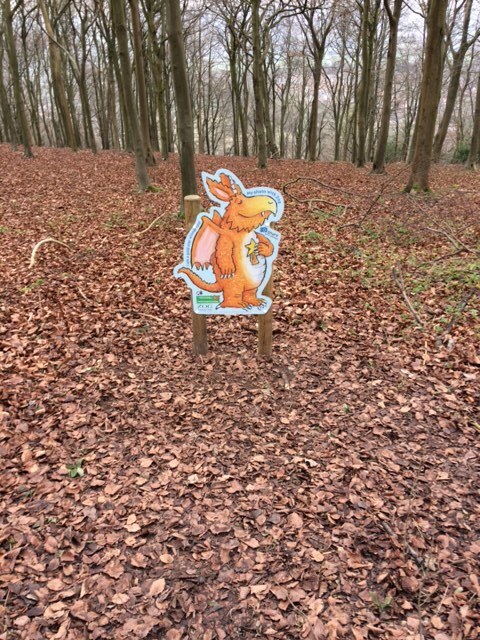 Not meaning to sound critical as it’s a steal at £3 and a great way to make a walk round Wendover Woods more enjoyable for kids, but just mentioning as I’d hyped up we’re-going-to-see-Zog-at-the-woods to my son beforehand a bit too much for what there is. 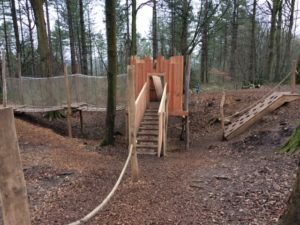 They’re finishing off a brand new play trail at the moment though and the bits we saw of that were brilliant. 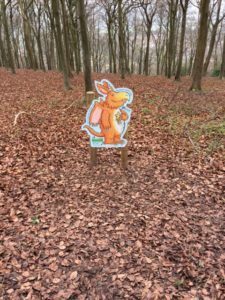 When it’s warmer and the play trail is completed (soon – it was meant to be finished by end of last year), it would be great to spend the whole day at Wendover Woods and do the play trail and Zog trail with picnic. The path round the Zog trail wasn’t particularly pram-friendly in places unless you’ve got an off-roady type one. I met another mum on the way round who had a normal pram and it was absolutely caked in mud and she’d found some of it a bit hard going. She did make it though so not impossible, and most of it is big wide path so very accessible. Again it’ll be easier when the weather’s better and the ground is dryer! There is loads and loads of parking. I’ve heard it can get really full at weekends, but on this cold weekday morning there were hundreds of spaces. You don’t need change for parking – it reads your number plate on the way in and then you pay at a machine that accepts cards on the way out. £2.20 for 0–2 hours, £4.30 for 2–4 hours £and £8 for 4+ hours. The café is a sweet little lodge type building and sells hot and cold food and drinks, including lunch boxes for kids. I got a hot chocolate for the way round and it was GOOD! We are potty training so I’m starting to notice loos more now and Wendover Woods cannot be beaten! 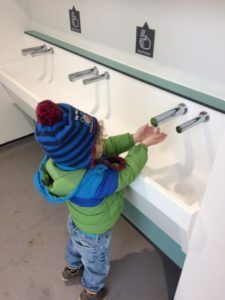 They’ve got a brand new toilet block with loads of loos in and fancy sinks, plus two big disabled/baby change toilets. 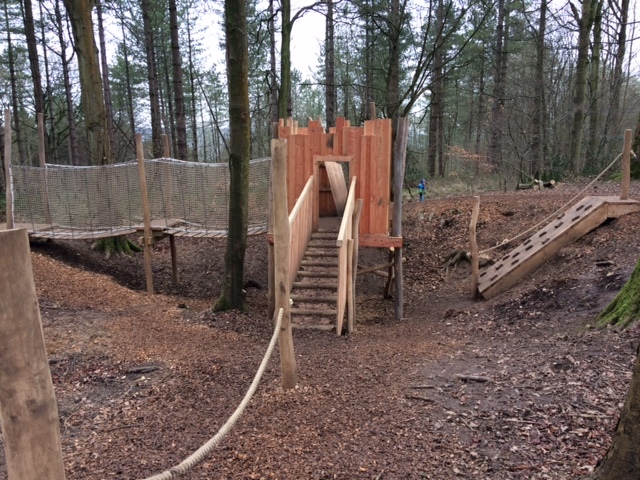 There is a lot of building work going on at the moment as they finish off their new play trail. For us this was a bonus as my son is mad about construction, but if it’s not your thing it might be best to hold off.